Patrick and I were fishing by 7 am and it was fast and furious on the first pass. Six stripers in the first 30-40 minutes that included a triple (only one of which was landed). 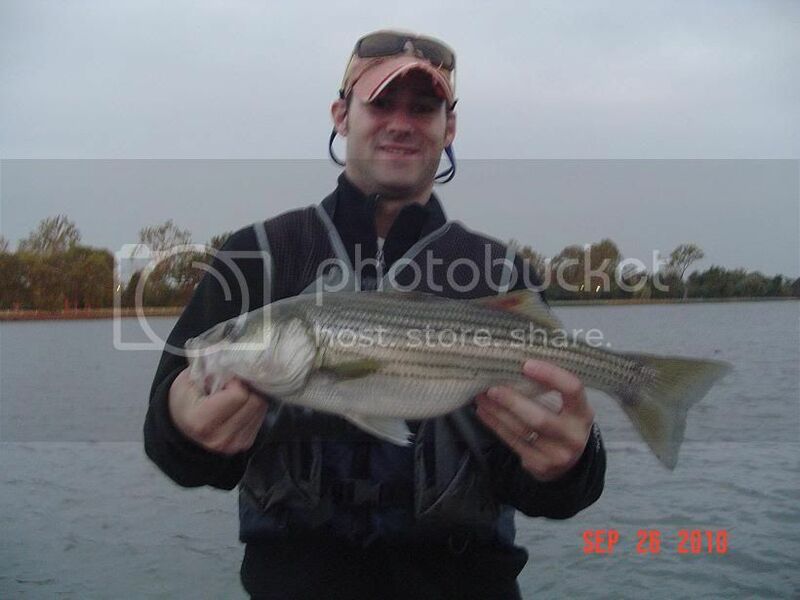 Here is Patrick with the biggest of the day (20"). We got rained on quite a bit, but not enough to get us too wet. The totals were 10 stripers, 4 cats, and one LMB (LMB caught jigging at the end). My big fish was only about 17". All fish were returned to the water to be caught again. We were back home by noon, before our kitchen passes expired . 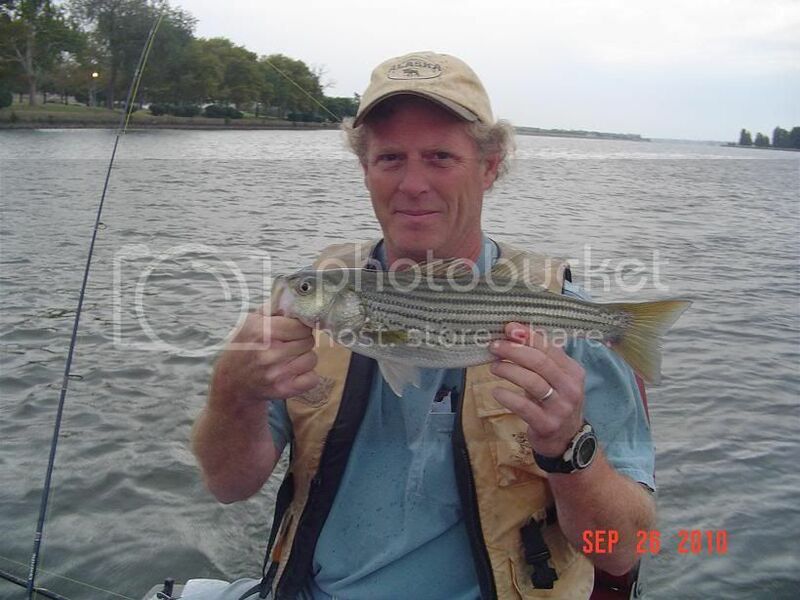 Patrick's striper is a fatty! Glad to see you guys got out and got some! It has been awhile for me and it was great to get out. Thanks for the invite Curly. I look forward to seeking the kitchen pass once Baby Coz is here and I have my mother-in-law to bail me out for a few hours! Good times! I look forward to seeking the kitchen pass once Baby Coz is here and I have my mother-in-law to bail me out for a few hours! Good times! MILs need that bonding time and you should oblige! Curly, Very nice fish. Were you trolling? How are you fishing for those rockfish? Stripers will be throughout the river in DC from WW Bridge up to the 14th Street Bridge in 10-20' of water next to dropoffs or ledges. Blue Plains, creek mouths and the Washington Channel will hold them as well. I troll broken-back deep diving rebels and umbrella rigs containing bucktails. Our fish were caught in the Washington Channel. Yesterday someone told me they were stacked up at the outflow of Blue Plains.